E-commerce Design requires planning to be effective, easy to use & visually appealing. At ROBO Design Solutions we will work with you to achieve a website that will meet your goals and represent your company's image. 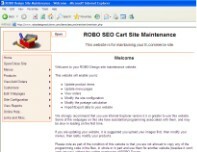 To have a go at designing a site free online try our E-Commerce Demo. 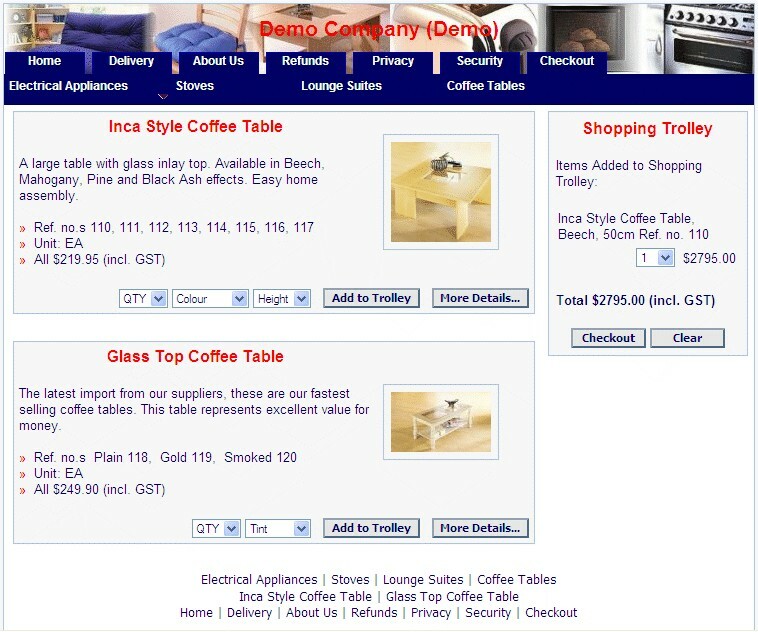 To find out about some of our features of our e-commerce software, please see our website on E-Commerce Packages. Do you want a right hand side mounted trolley, or one that remains hidden until you need it? What no. of products do you wish to sell, and what pages will contain what products? Do you want your customers to be able to fax orders in addition to or instead of placing orders over the Internet? Do you want your customers to have the ability to pay by cheque? Do you intend to charge postage, and if so how, by weight, location, cost of items in the trolley or a combination? For more information see the NZ Post website. Do you intend to have overseas orders? 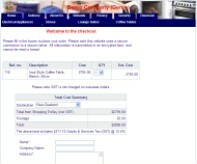 Do you intend to have regular customers with discounted prices? 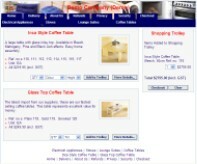 Are your customers likely to purchase one item per visit to your website or many items, or large quantities? Do you want to use images for all your products, some or none? How much description do you want for each product? Do you want to have real time credit card processing? That is having the processing of the credit card done automatically for you. Do you want to use sub options available for your product? e.g. if you had a jersey, you could have a sub option for the size, and another one for the colour. You may have a maximum of two pulldown menus, with up to 10 sub options in each pulldown menu. Do you wish to advertise prices GST inclusive or exclusive? 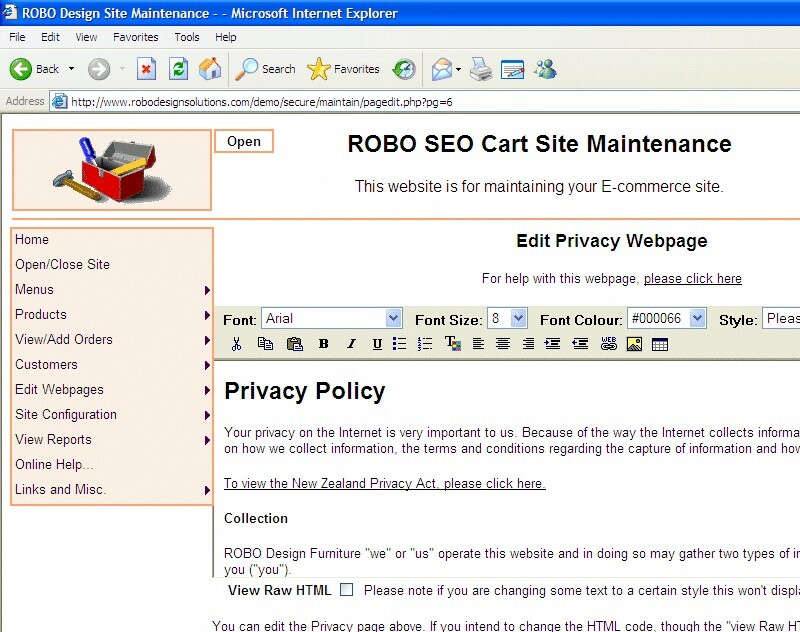 At ROBO Design Solutions we use an in-house developed E-Commerce Design programming base, which can be configured for most New Zealand E-commerce sites. If you have a special alteration which deviates from the standard E-Commerce Design programming, this can be achieved at our current hourly rate. 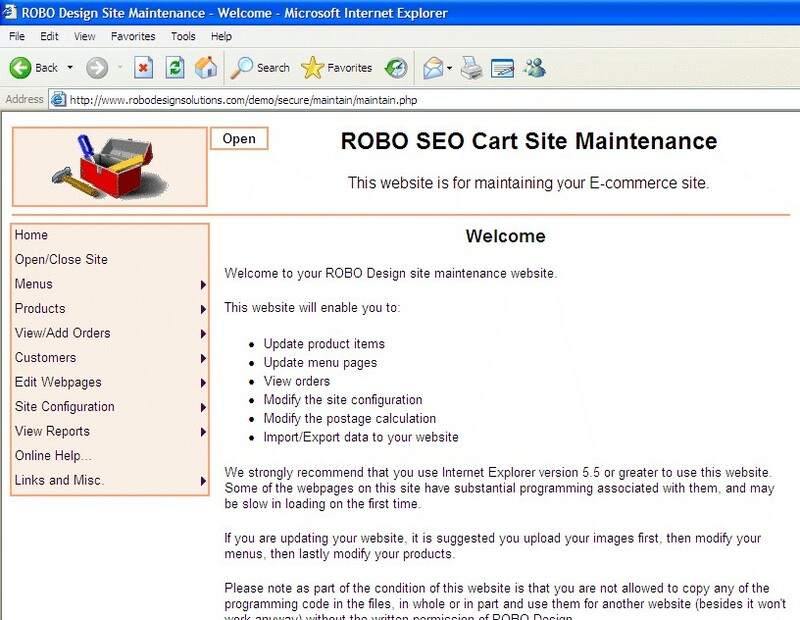 To maintain your website you can do this online using a supplied password protected maintenance website. Here you will have access to edit your products and menus online, change your configuration, view instructions on how to use your site, setting up your email and updating your site using a FTP program. If you have 50 product items or less, we would be quite happy to input the data into your website, and upload your images. 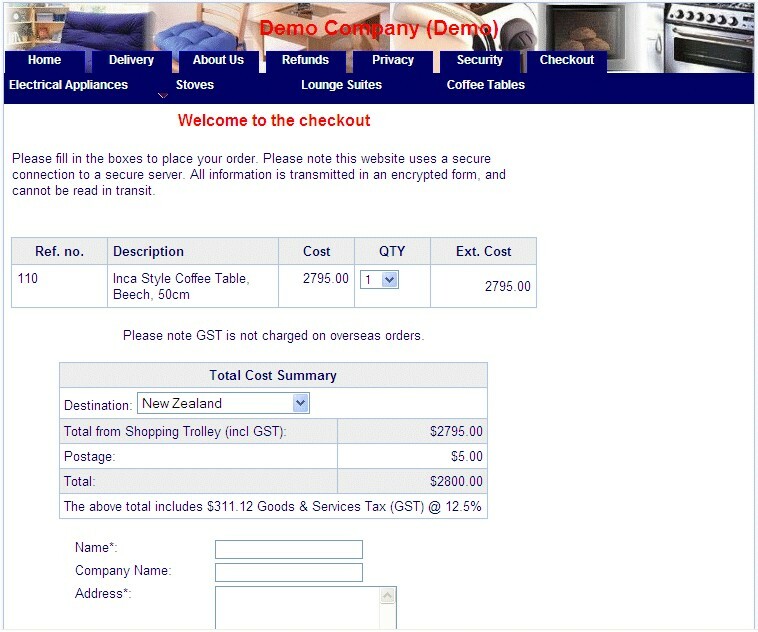 If you have more than 50 items, then there is an additional charge of $1 + GST per item, unless you enter this information yourself there is no additional cost, and we would be quite happy to show how it is done by doing the first page. Also if you have images for you E-commerce sites, we would need them in the correct format - either JPEG or GIF. They are then automatically resized when uploading into the website. 1) A page providing security information for submitting credit cards (We can help with this). 2) A Physical Address (P.O. Boxes only aren’t sufficient) & Phone no. 5) A note stating you must be at least 16 years of age and in possession of a valid credit card. 6) Information on delivery times etc. 7) A note stating that your company reserves the right to amend prices & descriptions, and that though the utmost care has been taken provide true and accurate information, your company has the right to correct any errors and will advise in any price or description alterations for ordered items. 8) A note stating that your company abides by the New Zealand Fair Trading Act.